Kemi Sogunle is an award-winning author, international speaker and certified professional coach. Her mission and purpose in life is to support single men and women in finding who they are (after becoming broken or divorced), love themselves by gaining an in-depth understanding self-love and develop positive and healthier habits (before getting involved in a relationship) while living truthfully and purposefully in order to make their lives better not bitter. She writes and speaks from a personal place and experience on relationships, healing, forgiveness and purposeful living by moving from pain to purpose. 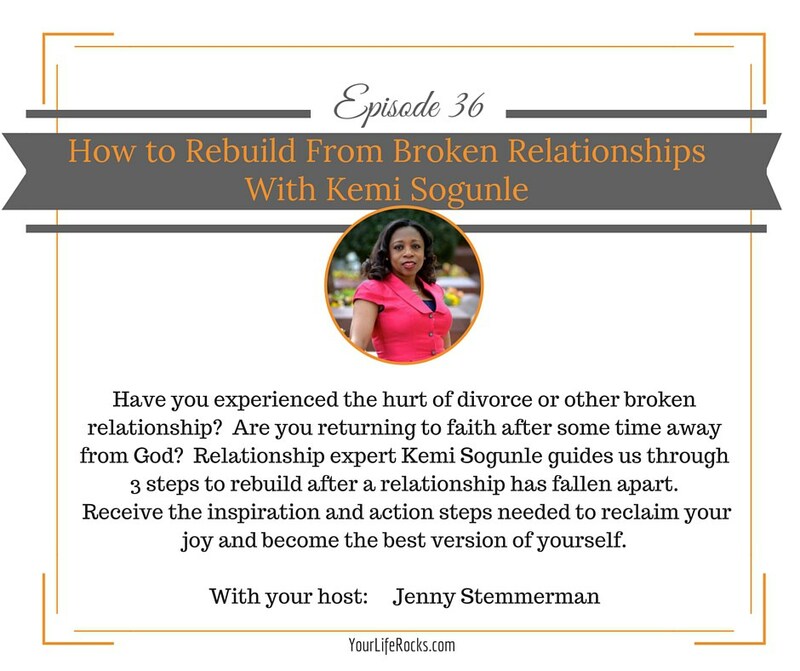 Kemi began her journey to becoming a life and relationship coach after her separation and divorce, which led her to soul searching. She connected to her spirituality while viewing life from a different perspective. She found herself in the process and gained a deep understanding of life and relationships as well as her purpose in life. She shares deep and inspirational messages through her writing and has touched many lives across the globe. She also teaches, motivates and inspires others to become the best version of the person God created them to be on daily basis. She believes that living truthfully is paramount to long-lasting relationships and healthy living. She is also the Founder/CEO of the nonprofit organization (501c3), Love Not Hurt, an organization that promotes self-development, building healthier and stronger relationships while living with purpose. 3. Realign your thoughts to what God say about you. Allow yourself to be broken so God can mend you. Be your child’s best friend. Have date nights with your kids and build a relationship with them. Want to learn more about Kemi? Learn more about our membership site, Life Balance by Your Life Rocks.